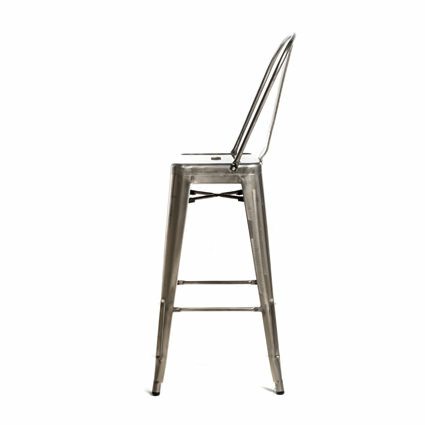 Our Monroe Gunmetal Barstool with Back is stunning. 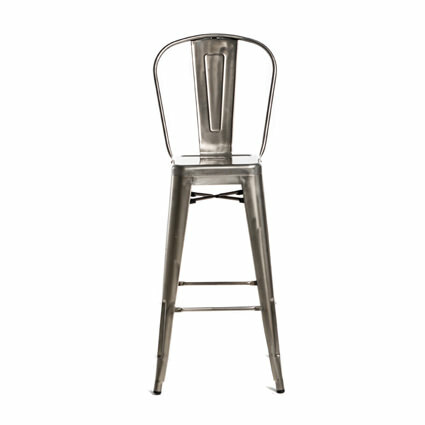 Matching the industrial looking bistro chair it also has a smooth gunmetal finish and curved back with a vertical slat. This barstool is also available without a back.